Moments after we reported that the getaway driver in Nipsey Hussle's murder case had admitted to transporting Eric Holder to and from the rapper's store in Los Angeles, it is now being said that Holder has officially been captured. The LAPD has been searching high and low for the primary suspect in the slaying of Nipsey Hussle and finally, it appears as though the man has been caught. According to CBS Los Angeles, Holder was captured in Bellflower, California. Other than the fact that he's been found, there isn't much information about him at this time. We will continue to update you as information breaks. 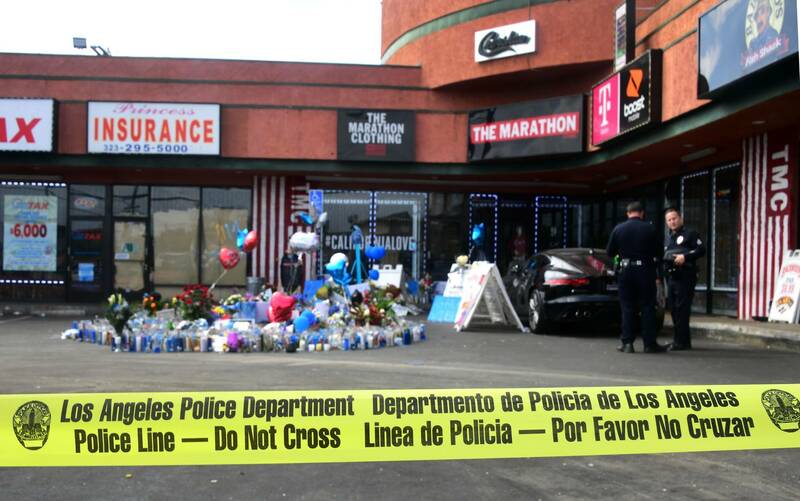 In the most recent updates, police have said that Nipsey Hussle was likely killed over a personal dispute. In the security footage that was released from a nearby store, you can see a man in a dark t-shirt walk over to Hussle. The two argue before Hussle hits the ground after presumably being shot for the first time. Holder then returns after walking away, fires more shots and kicks the rapper in the head. Read our tribute to Nipsey Hussle here. RIP.